I am Christine Clayfield. Mother. Wife. Entrepreneur. Author. I like to look at the glass as half full and I like to think like there is no box! Individuality matters. I am a hard worker and I am passionate, ambitious, vigorous and result driven. I like travelling, reading, dining, talking business and watching a good movie or a business program like Dragon’s Den or The Apprentice. I have achieved a lot in my life but I come from a painful past. I recently wrote a novel based on my life story: No Fourth River. This novel describes where I started and where I am now. 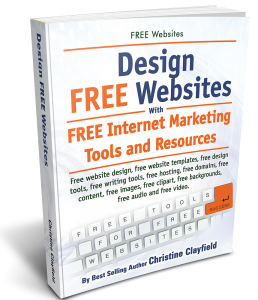 Join me on my journey, click on one of the Buy-buttons on the right side of this page to grab your copy. After my painful and abusive past, I decided to change my life around. At some point in my life, I simply had nothing. I had no money when I started my first business but thanks to a small bank loan, I started working hard and set up a successful business. 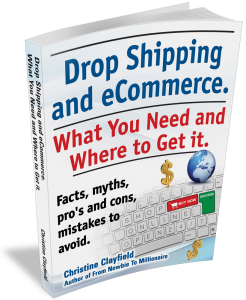 – Drop Shipping and eCommerce. I hope you will enjoy my books! I donate monthly to the NSPCC “National Society for the Prevention of Cruelty to Children” because I’ve experienced how hard it is to grow up as a child without love or affection and how tough it is to continually and consistently being abused and bullied. What most people know about me is that I have built several successful businesses and written 6 books, 5 of which are business books. 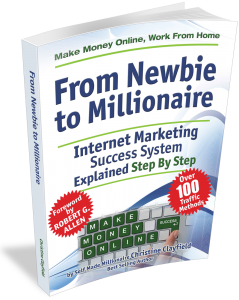 I am grateful to say that I achieved recognition as a Bestselling Author for one of my Internet Marketing books; ‘From Newbie to Millionaire’. I have spent years, helping entrepreneurs gain control of their lives and finances because it is possible. YOU can do it! I have done it and many of my students have too. To prove my point, I want to tell you a bit more about me, the ‘me’ behind the businesswoman, my experiences, my ups and my downs, because I believe my struggles will resonate with you. And as others have, you may take strength and inspiration from my story. After many years of being an author and mentor, I took one step further to empower and inspire the world, with the release of “No Fourth River”, a novel based on my life story. My past holds much pain and abuse but it didn’t not stop me from being the woman I am today by changing my life and building a better future. I come from a background of child abuse, both at the hands of my father, a wealthy and well-known businessman in the diamond industry and at the hands of the authoritarian nuns at my boarding school. I am not sharing a ‘poor little rich girl’ story, in fact, I was not rich or wealthy; my father did not help me at all, financially or otherwise. I suffered through a tumultuous adolescence, rife with bad choices and pain. My first marriage was a violent one that left me in a coma for 10 days. At some point in my life I had no money, no job, no food, no real friends, no love and no home to live in. I lived in a disgustingly tiny dingy room without windows above a pub. I had become the product of my environment. But I don’t share this so you weep for me. NO. I share this because I want to let you know that you can turn your life around, no matter where you are or how you’ve suffered in the past. Your past may hold horrors more horrifying than mine, or lesser ones. What really matters right now is what you choose to have in your future. It is by no means an easy choice to make nor a walk in the park. BUT it is possible! This is why my 6th book is a novel, it is not about internet marketing, but about having the strength to choose, the strength to become who you want to be, against all the odds you may encounter. No Fourth River’, is my way to let the world know that despite the pain of your past, YOU have the ability to change your future. YOU can make it happen if you just believe. It all starts with YOU. I believe and I am living proof that if ANYONE wants to put in the work, they can become successful with determination and desire to succeed. 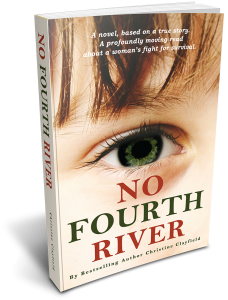 If you would like to read about my journey, you can grab your copy of ‘No Fourth River’. I’ll put the links below. When you do read my book, I’d like you to reach out and tell me what you think. It is not easy laying bare all my past, the good, the bad and the ugly, but I trust it will help and inspire you. 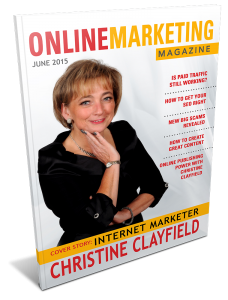 Christine has been a full time internet marketer for over 8 years. 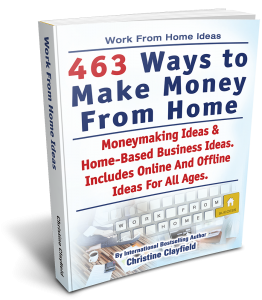 When she first started online, she was confused and on the verge of giving up as she didn’t make a penny for the first year. She was determined to make $25!! 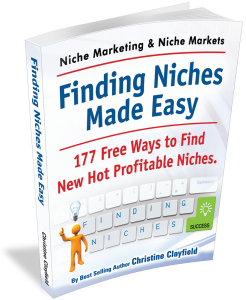 When she made my first sale, after one year of trying, she knew she finally understood how it all worked and she knew she could duplicate it. She is living proof that ANYONE who wants to put in the work, can make money and become a success, if you have enough determination and desire to succeed.